Forza Academy - Will we break the world record? We have broken a world record! Our academy in Cambodia (Forza Academy) is now the world record holder for a match with the most amount of players! The former record was 2357. Every player had to play for at least ten minutes. We expected the match to go on for five days but four was enough. Amazing! Want to support Forza Academy? 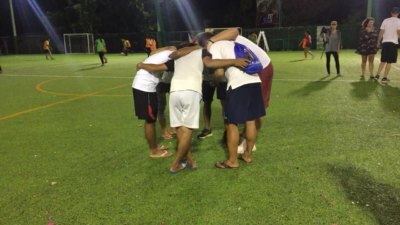 Forza Academy in Cambodia is backed financially by the team behind the Forza Football app. We always need support to develop the academy and our grassroots project in Siem Reap. The easiest way for you to help out is to download the Forza Academy app and sign up for a $2 per month subscription.